Don't have EurekaLog IDE expert installed? 1. 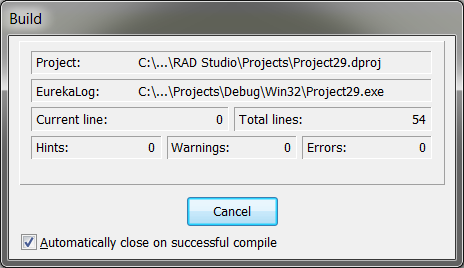 If you compile your application inside IDE - then it is the simplest case: because you don't need to do anything. You just enable EurekaLog for your project and compile it. 2. However, if you're compiling your project outside IDE (say, you're using command-line compilation, build server or build script) or you don't have EurekaLog IDE expert installed (don't want to use it) - then you need to post-process your compiled project manually (see this article for more details). 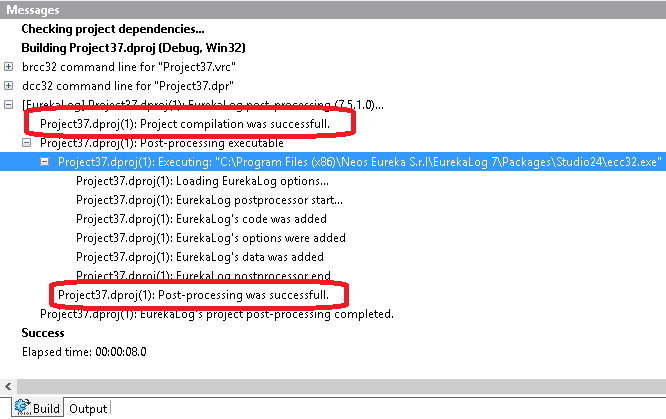 Post-processing includes injecting additional information into your compiled executable module: EurekaLog's options and debug information.